From expert photojournalism with KTVB to capturing a bride's special moments with his company Boise Wedding Productions, Eric's focus has been to use photography and video as a medium to tell a story. 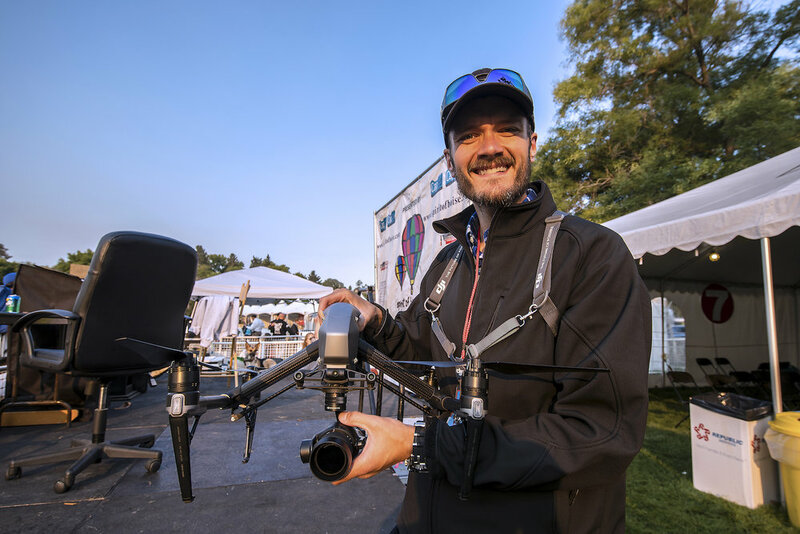 Shutter Sky Films started as Eric found he could combine this passion for story telling with a love of driving or flying anything remote controlled that began as a child. With Eric, you don't just get a skilled pilot with years of experience flying for over 300+ hours and counting, you get a cinematographer with an ability to create powerful emotions from arial images. By far, Eric's greatest story is the one he is writing today with his beautiful wife Kandace and his two amazing kids. We have completed all of the tests required to have the Part 107 Remote Pilot Certificate. We are licensed and insured to make sure your project is hassle-free. We have business insurance with coverage over a million dollars, and we also purchase an additional million dollars or more in coverage with every single flight we take. You can trust that we will be professional at every step of the process and hold safety as our highest priority.